The time Mahatma Gandhi was studying law at UCL, a professor named Peters disliked the young student intensely. He openly displayed hostility, animosity and prejudice toward Mr Gandhi. 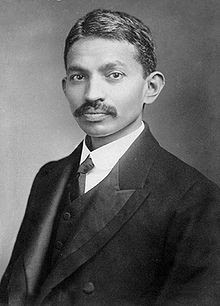 He was having lunch at the University dining room one afternoon when Gandhi put his lunch tray down on the same table and quietly sat next to the professor. "Mr Gandhi," says the professor, "a pig and a bird never sit together to eat." Cool, calm and collected Gandhi replied, "not to worry professor, I'll fly away." He picked up his tray and moved to another table. The infuriated professor turned red with rage and quietly resolved to take revenge on the next test paper. 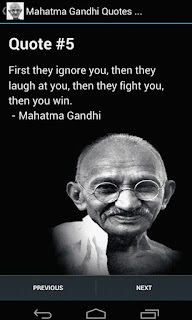 That plan didn't work because Gandhi was a good student and his answers to questions put, were brilliant. Frustrated, angry and unhappy Peters threw him an unexpected question. "Mr Gandhi," he asked, "you're walking down a street one day and you find a bag. Inside the bag are two packages. One package contained wisdom and the other plenty of cash, which one would you keep?" Without hesitation, Gandhi answered, "the one with the money of course." Grinning from ear to ear, a sarcastic professor Peters says, "I, in your place would have taken the wisdom, don't you think?" Gandhi shrugged indifferently and responded, "each one takes what he doesn't have." Mr Peters was so angry he wrote the word "idiot" on the exam sheet and handed it to Gandhi. 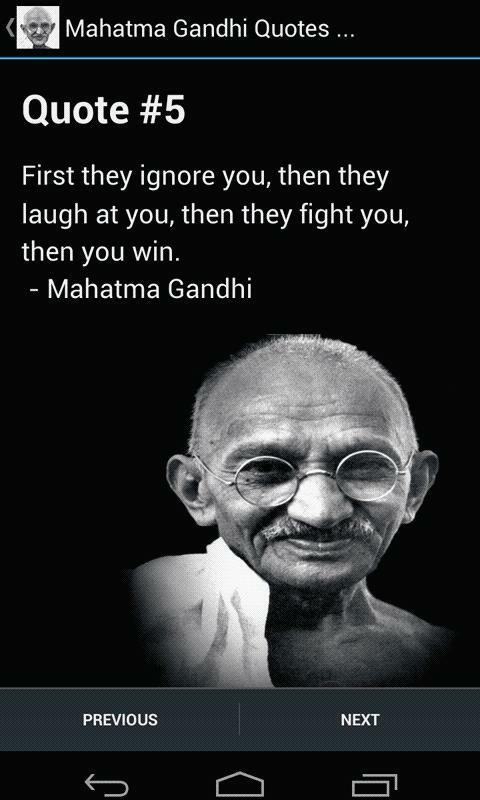 Trying to remain calm, Gandhi took the sheet and sat back down and contemplated an appropriate response. It took him a few minutes before he got up, went up to the professor and said in a polite, dignified but sarcastic manner, "Mr Peters, you signed the sheet but forgot to give me a grade!" Coming soon - New story. Watch this space!